This is a add-on board which routes out two mikroBUS™ sockets onto an MPLAB® Xpress Evaluation Board. 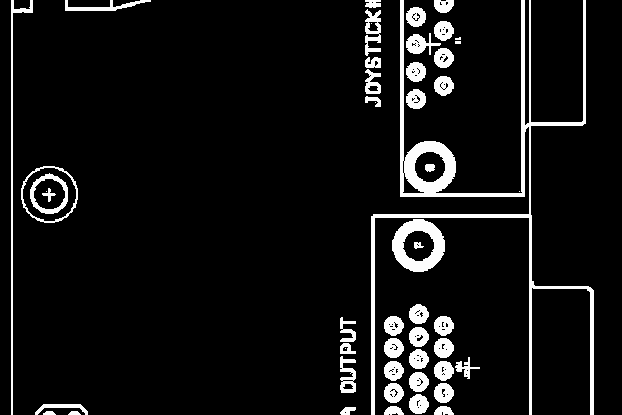 The mikroBUS™ socket comprises a pair of 1×8 female headers with a proprietary pin configuration and silkscreen markings. The pinout (always laid out in the same order) consists of three groups of communications pins (SPI, UART and I2C), six additional pins (PWM, Interrupt, Analog input, Reset and Chip select), and two power groups (+3.3V and 5V). 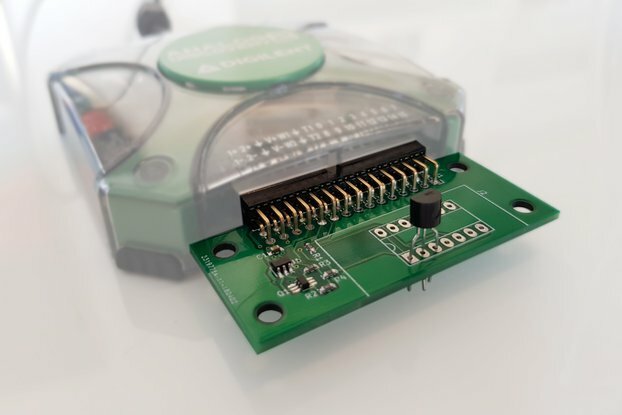 What this means is that the mikroBUS socket allows the use of many different solutions to be put onto very small footprints, and easily connect to a project. MikroElektronika has over 300 different boards, for a variety of different end applications. The original MPLAB Xpress Evaluation Board (p/n DM164140) features the versatile PIC16F18855 MCU, which supports a wide range of embedded applications. This highly integrated board also features on-board LEDs, a potentiometer, and a MikroBUS™ header for expansion with more than 300 MikroElektronika click boards™. This is a great board to do some prototyping, or quick projects on. Especially using Microchip's online MPLAB Xpress IDE and their code generation tool MPLAB Code Configurator with the MikroElektronika click Library installed. It has super simple programming by showing up like a flash drive and using drag-and-drop programming. 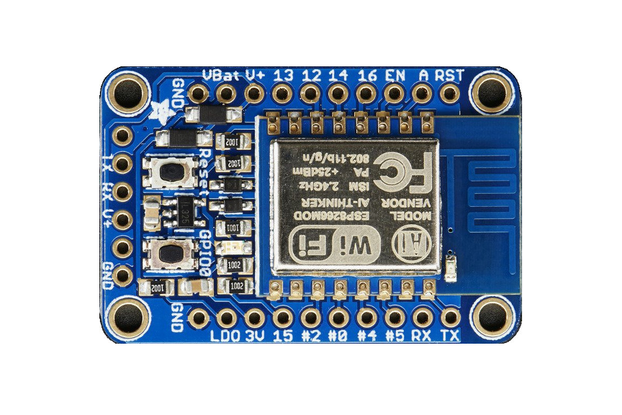 It also offers a USB-to-UART bridge, so you can output data to a terminal, or capture it in something like NodeJS or Python to do some more heavy lifting. The Xpress Evaluation board is great, but sometimes it gets a little tough to do what you want with a single click Board. 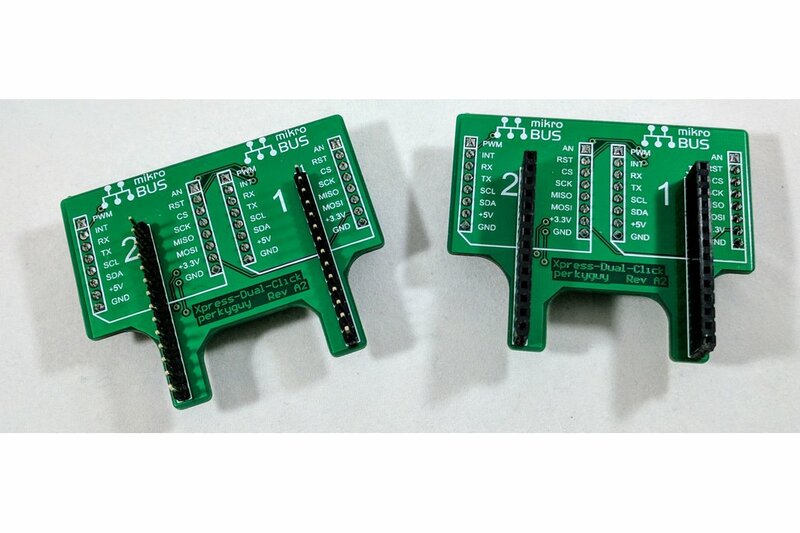 Therefore, the Xpress-Dual-Click (XDC) board aims at giving you another mikroBUS socket. This way, you can connect a BLE click and a Gyro click to get wireless sensors, rather than a USB tethered solution. 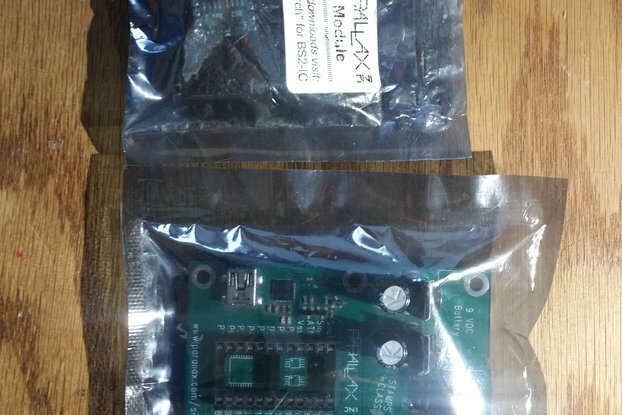 The Xpress Evaluation board has two sets of headers, one for a singular mikroBUS socket, and the other for direct access to the PIC16F18855's pins. Using the direct connection set of headers, the Xpress-Dual-Click (XDC) board is able to connect two independent mikroBUS sockets. To maintain signal integrity of the onboard potentiometer, the XDC does not connect anything to this. In the same vein, no connections are made which would interfere with the USB-to-UART bridge, so you can still use this link if you want. Of course, if the particular click doesn't use a pin, then it's totally available for the other on-board features. I can either supply this with Male or Female headers to connect to an MPLAB Xpress Evaluation board.